Our dedication to creative endeavors brings the following blog post; an interview with origami artist Ross Symons. He shares his experience about origami in a way that you could impart to the kid/s around you and it also includes a hands-on project. Try to picture yourself helping your younger brother with a complex project and all of a sudden it becomes your way of living. That’s exactly what happened to Ross Symons when he folded a paper crane back in 2002. Ross Symons is an origami artist based in South Africa, a country well known for its wild life, great white sharks, and safari adventures. He hasn’t stop folding paper since then to create beautiful “origami” figures. He will explain us how a piece of square paper is now his lifestyle and career. If you wonder about the origin of the word origami, it comes from the Japanese oru=folding and kami=paper and mainly describes the representation of images by folding a piece of paper without the use of glue or scissors. However, origami can also be used to solve mathematical problems. One of the most practical uses of origami can be found in car airbags. Do you know that origami principles were used to fold a satellite to easily release it into space? Folding things can make them easier to transport and to carry around. As for regular origami, the one that involves paper, the process is quite simple but it requires some time. “I start by choosing something I want to fold,” said Ross Symons. “A rabbit, bull, duck, etc. I then do some research online and in books to see what other designers have done and this helps me with some inspiration. I also look at images of the real animal or plant to get an idea of the basic shapes. If I’m folding a flower, I will find a picture of one and look at the shape of the petals, the basic shape of the open flower and I use this to start thinking about how I will design an origami version. I then just start folding with the end result in mind. It’s then a process of trial an error until I get the shape I want,” Ross explained. “If you are curious about learning some origami techniques all you will need are paper, time and a beginners origami book. Origami Design Secrets is a book that every origami designer must read. It’s my favorite and I use it often. Maybe one day in the future I might write an origami book,” Ross added. There is a legend that suggests if you fold a model so perfectly you could bring it to life. After spending a year folding a new model every day, 365 of them, Ross wants to bring his creations to life. “I have found that I can use origami to tell stories and to create —like in this example here, which are two things I love doing,” he mentioned. Whether you use origami artistically or to solve mathematical problems, origami is a skill worth to develop and to give it a try. You never know what kind of effect origami could have on you but it will definitely challenge your brain and your imagination. 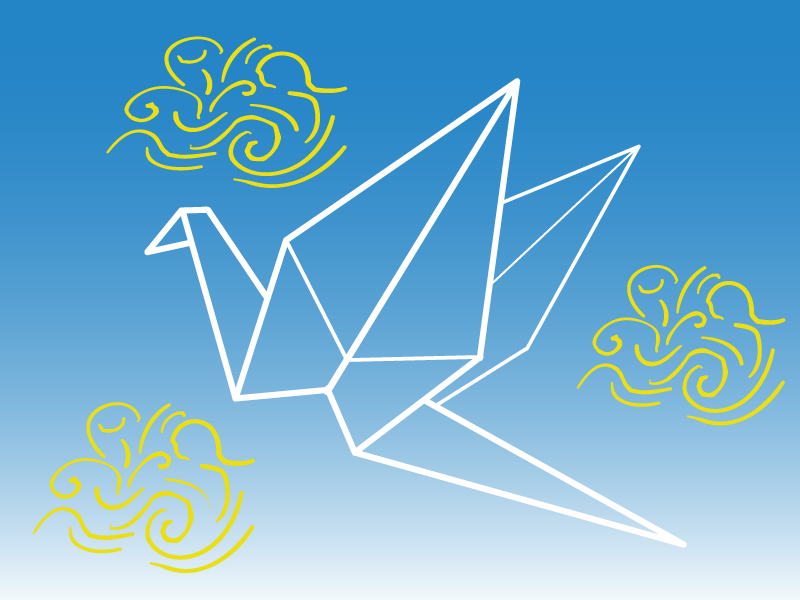 For the hands-on project you can follow these instructions to create an origami Blue Crane, the national bird of South Africa. For more information about Ross Symons, you can check his website white-onrice.com. And for additional resources about origami you can watch the PBS documentary Between the Folds also available at Amazon. Let us know in the comments what is your favorite origami figure to create, and if you have any photos of you and/or your kids having fun with origami, feel free to share them with us via facebook or twitter.